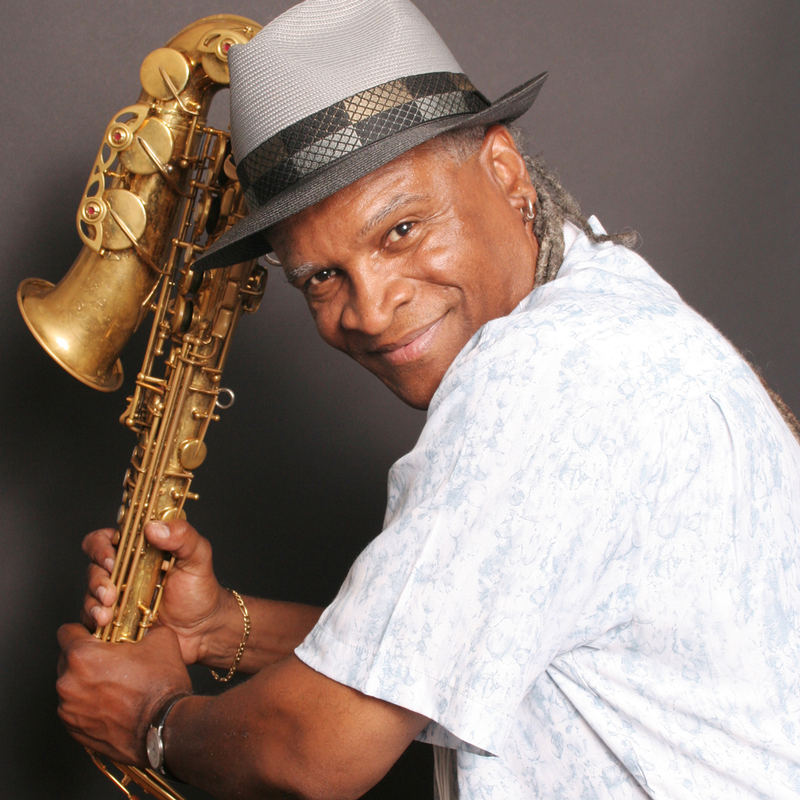 Harry first got the idea for Fiberreeds at a gig with his band in the early 80s, envisioning a reed made just like natural cane with cross-woven hollow fibers and cellular support. 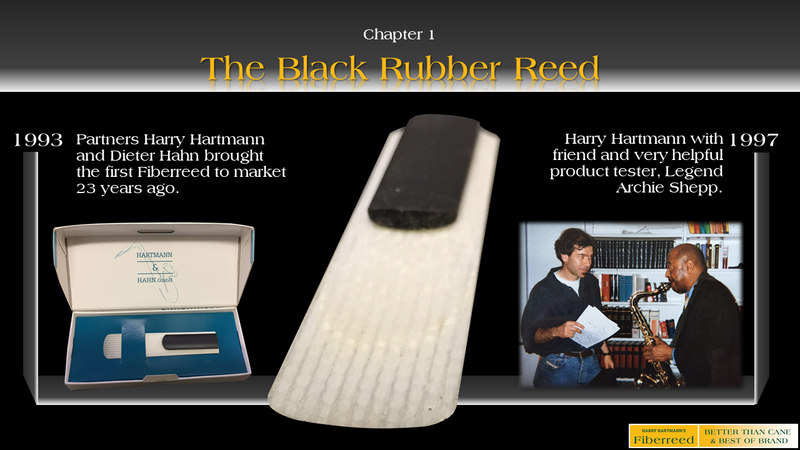 Harry began R&D soon after. 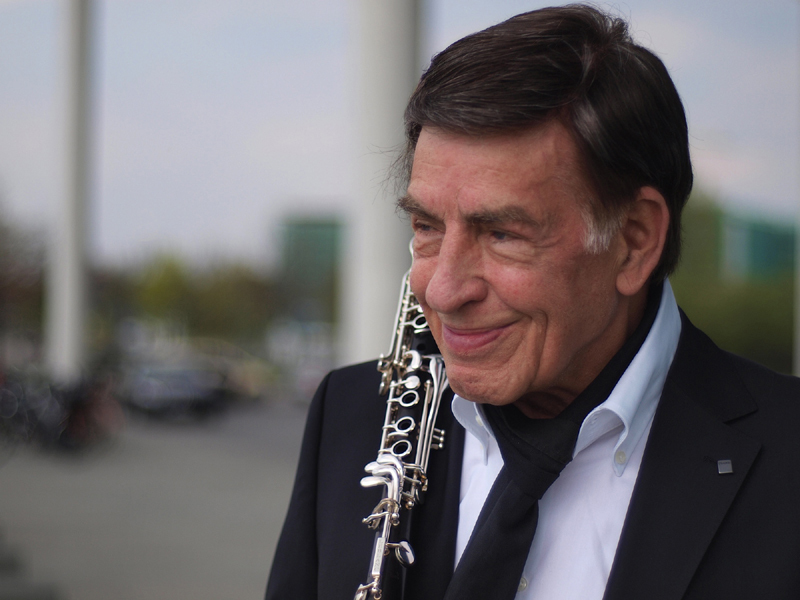 After Harry split with Dieter Hahn in 1996, Harry wanted to improve the reed. The black rubber would move over time. 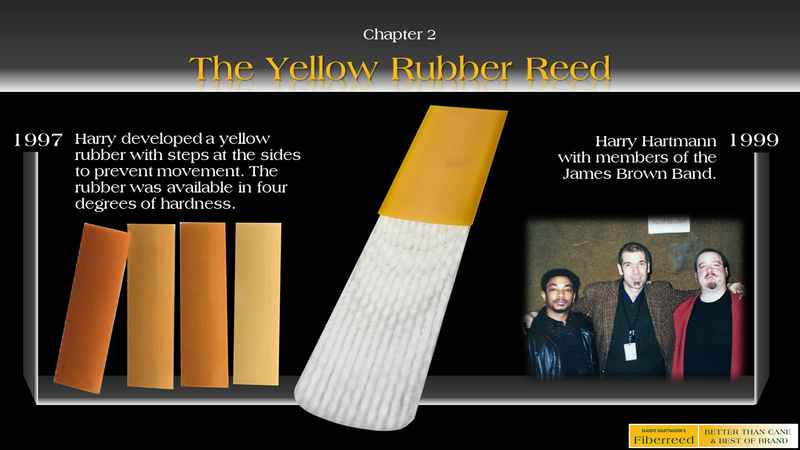 With some ideas in mind, Harry began development of The Yellow Rubber Reed. The darker the shade of yellow, the harder the rubber, allowing more vibrations to transfer to the sound. 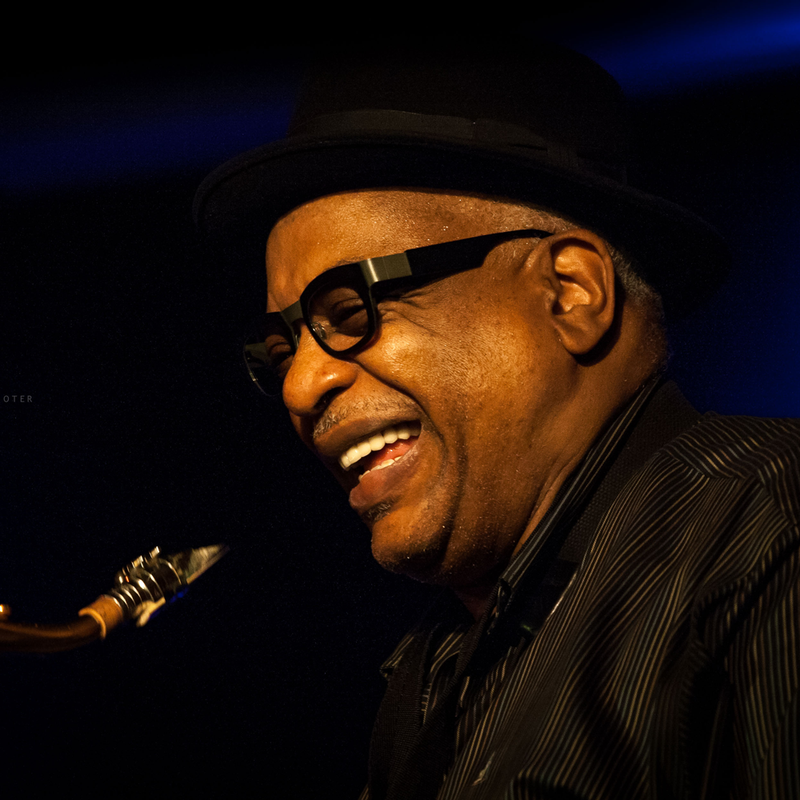 The idea was to have a support on the reed that had the functionality of a good ligature but would be delivered with the reed, enabling the player to fine tune the way the reed plays with a variety of different yellow pads. 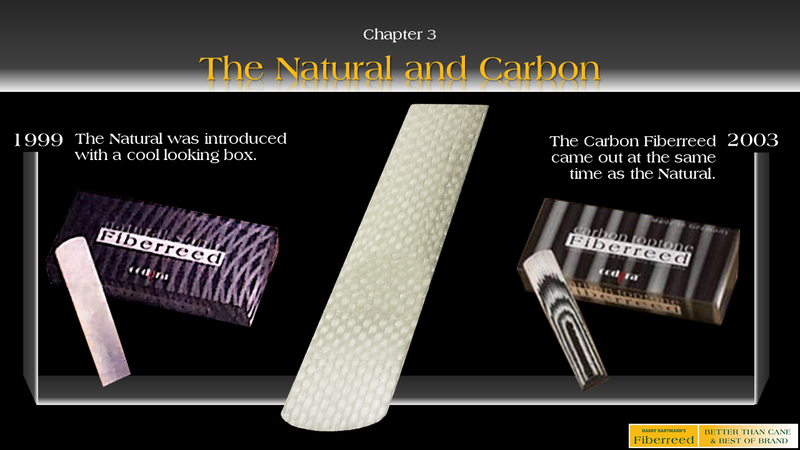 The Natural and Carbon Fiberreeds were introduced at the same time in 1999. They sported cool, vibrant boxes. 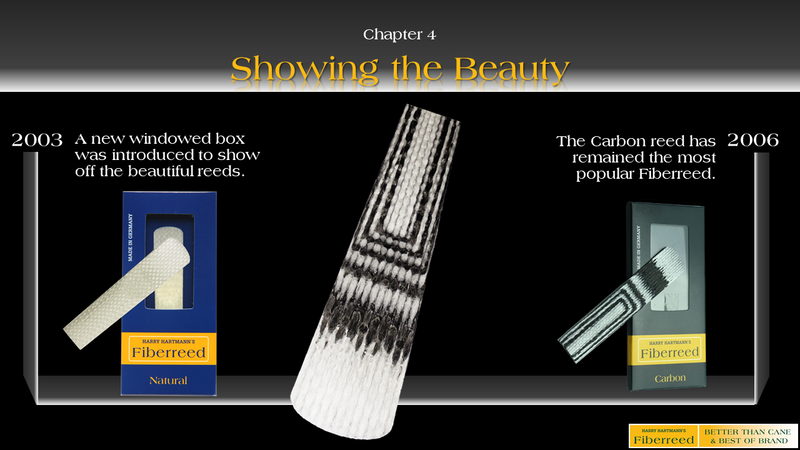 In 2003, a new box was developed to show off the very unique and beautiful, hand-crafted reeds. 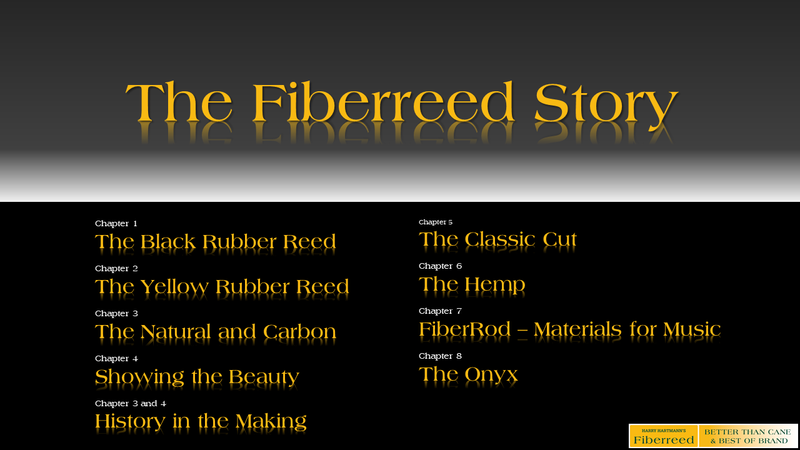 The Carbon reed has remained Fiberreed’s most popular reed since their introduction. Although, the Hemp reed will give it a good race in a short time. 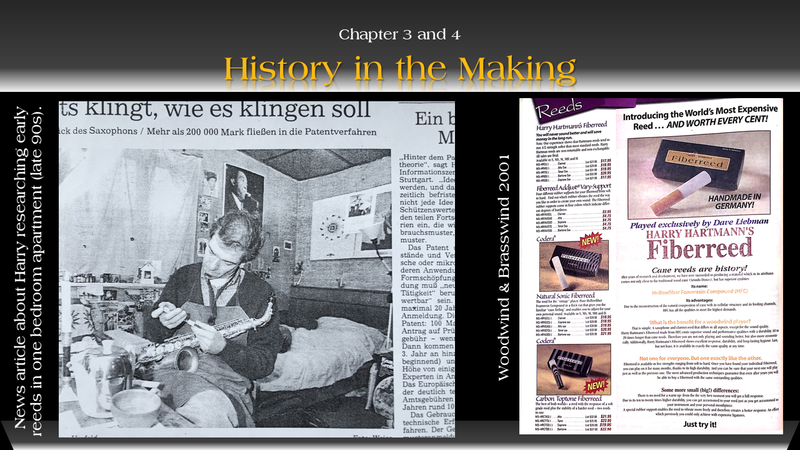 On the left is a German news article on Harry from the late 1990’s showing focused research on Fiberreeds. 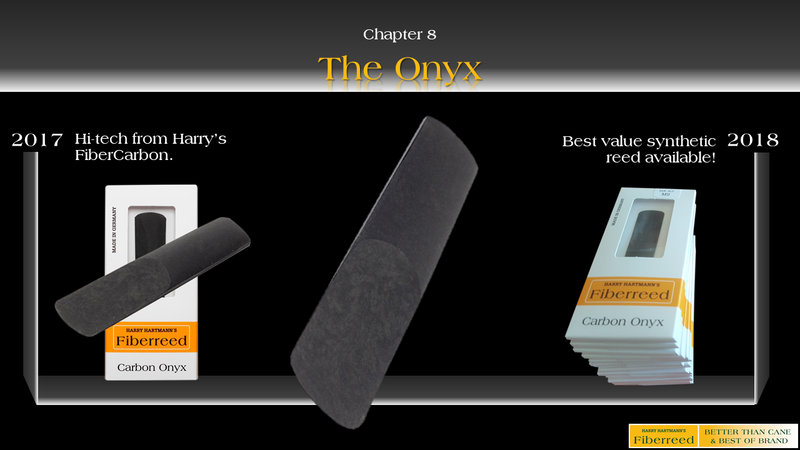 Harry still spends a tremendous amount of time on research and development. The new (at the time) Natural and Carbon Fiberreeds are displayed with the older Yellow-Rubber reed in this 2001 WWBW ad. 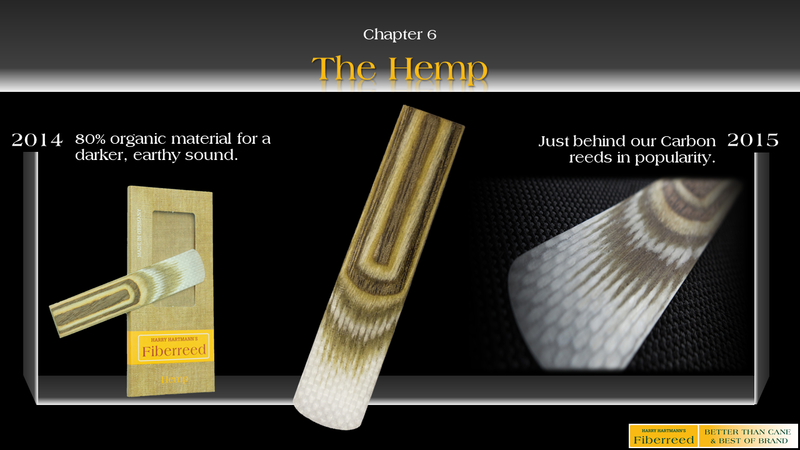 The Hemp reed was developed using 80% organic material, providing a darker and earthy sound. 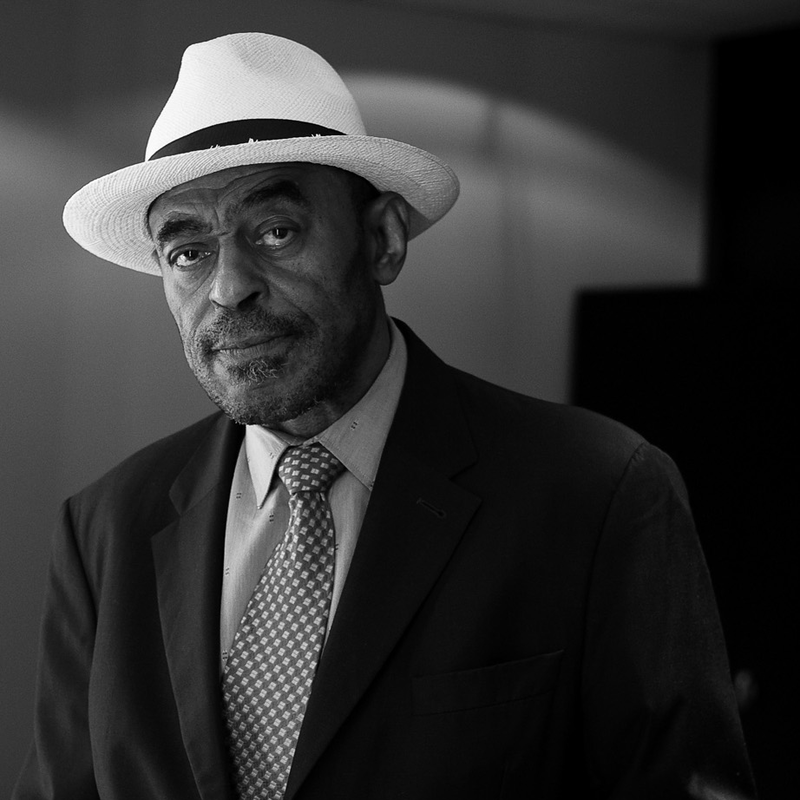 The Hemp reed was released in 2014. 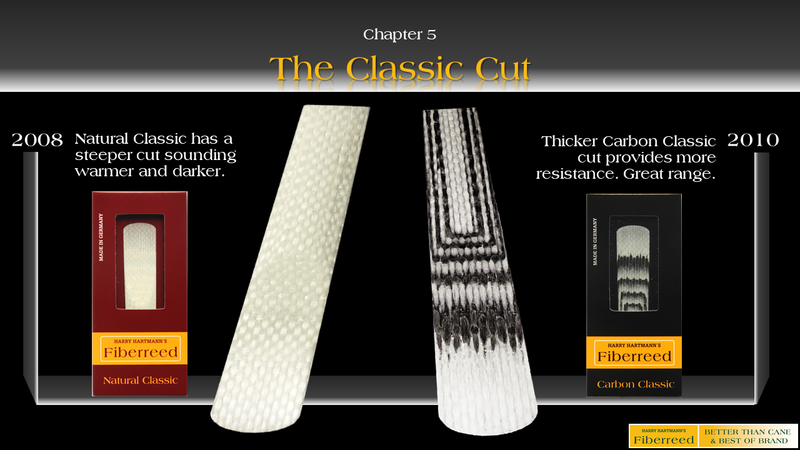 It was instantly very popular and battles with our Carbon reed for the most popular Fiberreed. 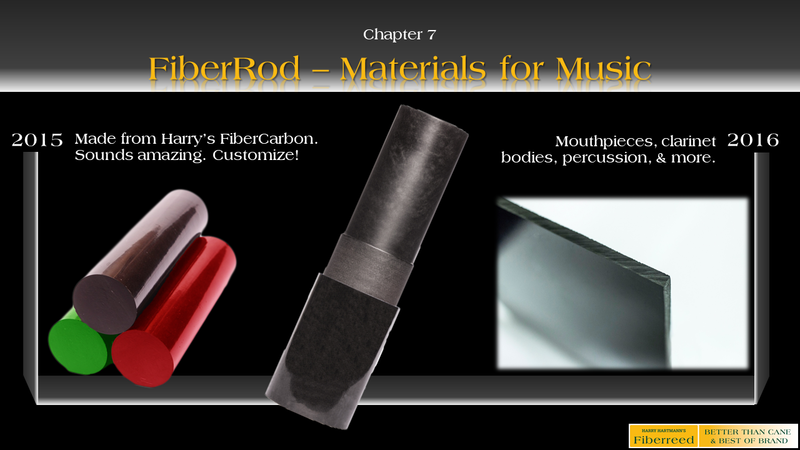 Materials for Music can be highly customized.